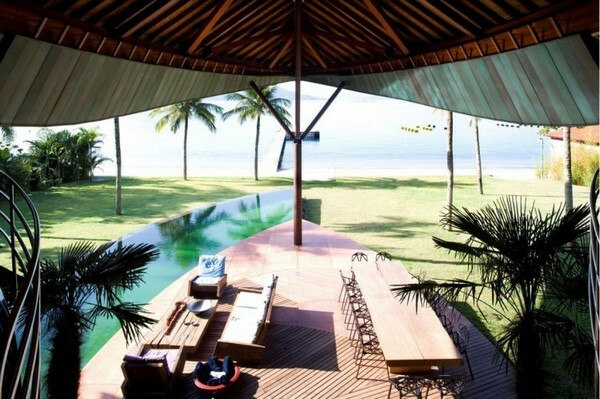 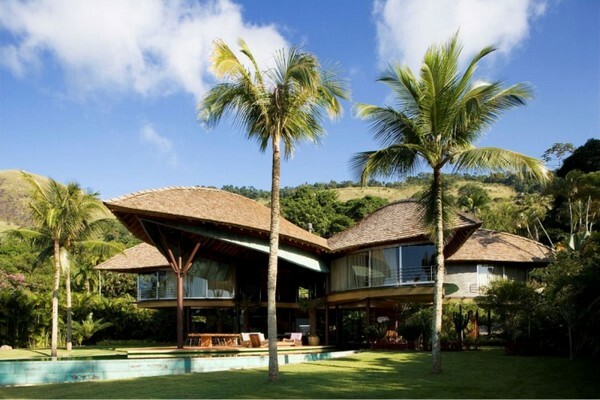 Casa Folha was designed by Mareines and Patalano on a beautiful coast near Rio de Janeiro, Brazil. 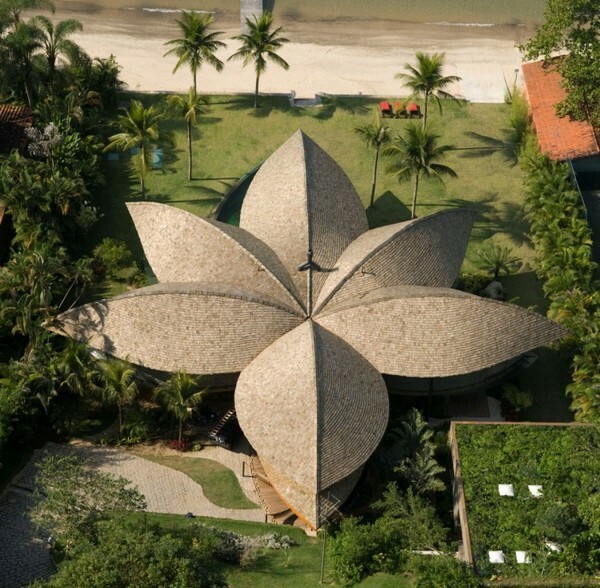 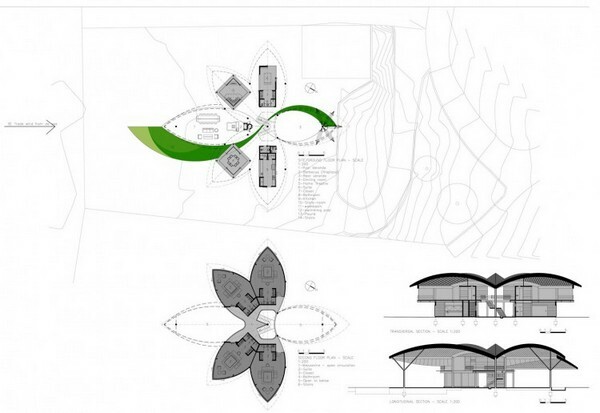 Showcasing a stunning leaf shape, the residence’s six sections shelter a large atrium in the middle. 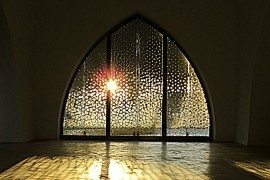 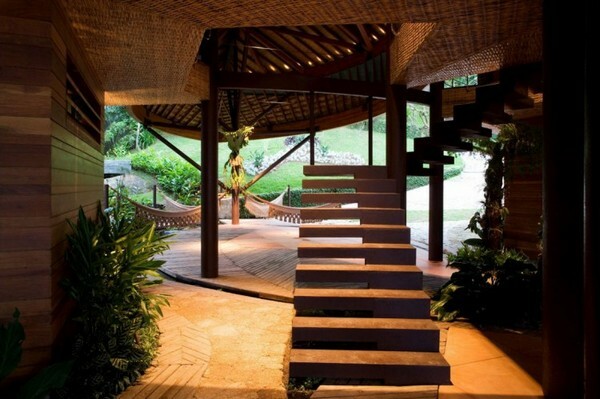 The humid climate in that area led to the construction of the house in such a way as to counteract the weather and make the inhabitants feel comfortable in the house. 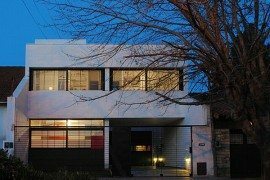 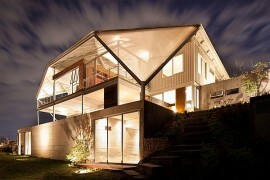 Stunning by day, Casa Folha comes alive at night, when hidden lights accentuate its inspirational shape. 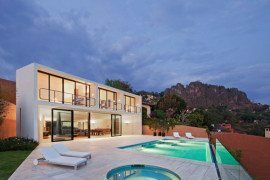 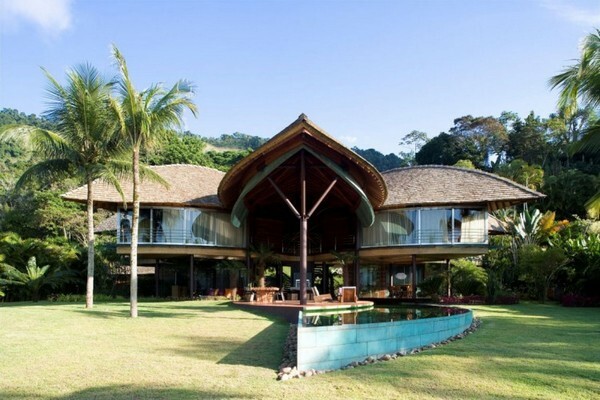 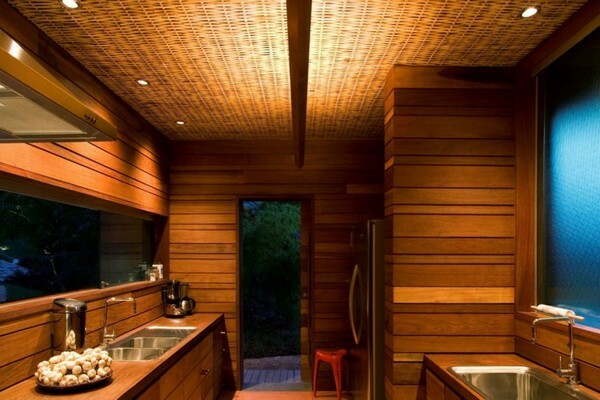 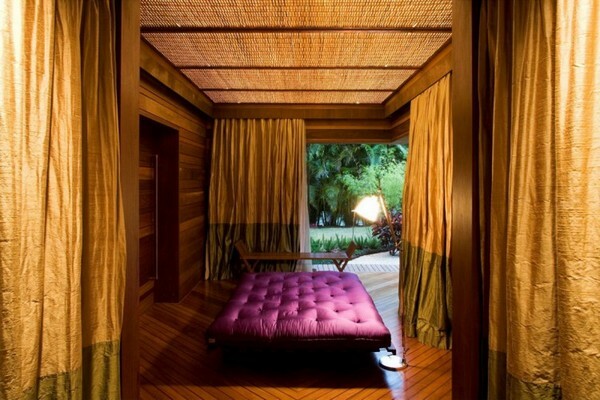 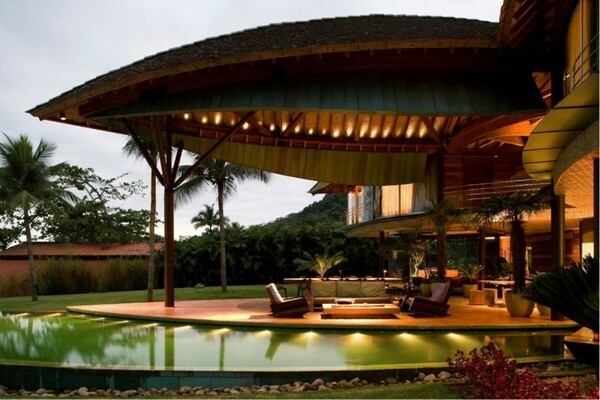 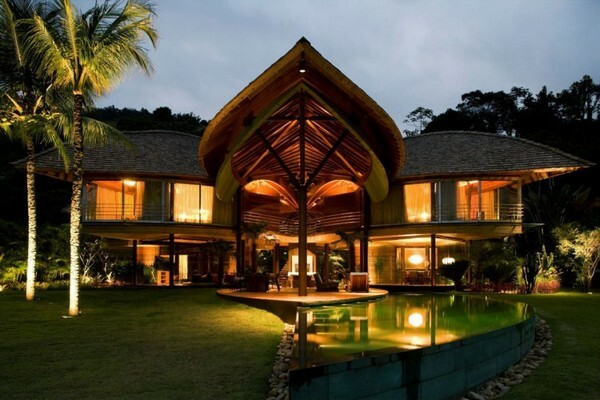 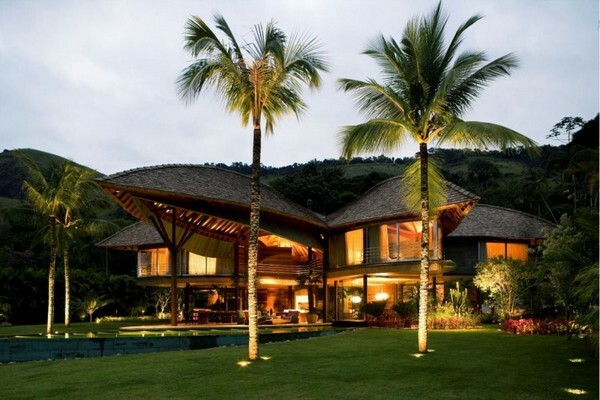 Drawing inspiration from Brazilian indigenous architecture, the house was built as a large shaded unit. 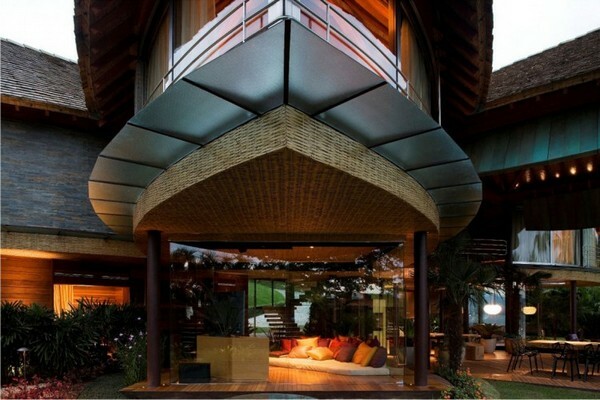 The special roof shades the rooms of the house, as well as the spaces between them. 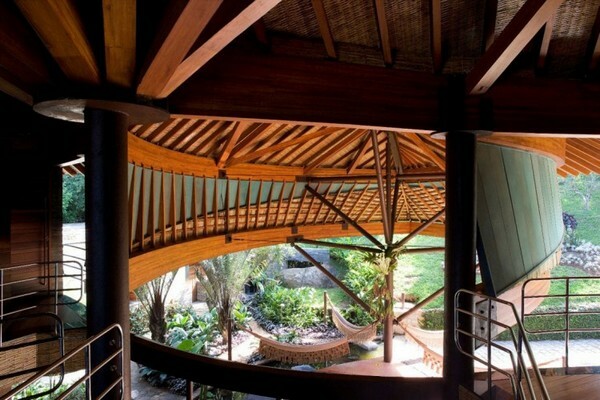 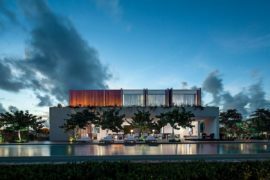 Natural ventilation and passive cooling were obtained by allowing the spaces to breath and capturing the cool breezes coming from the South Atlantic Ocean. 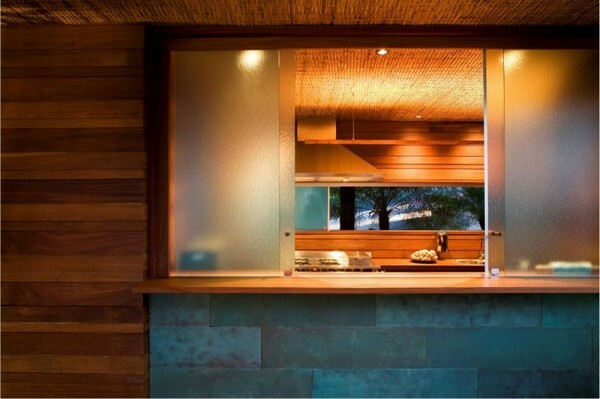 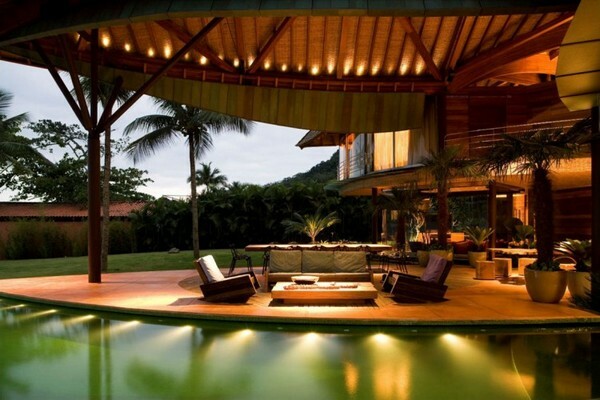 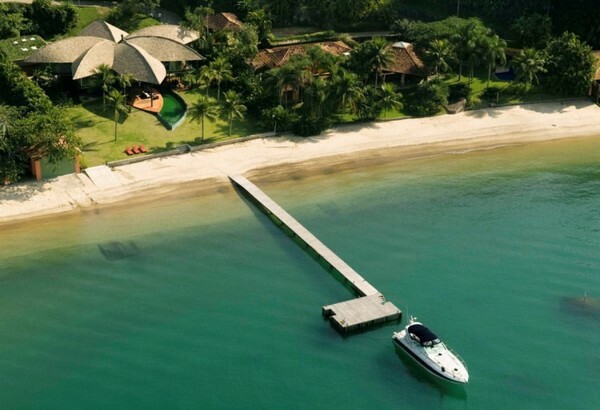 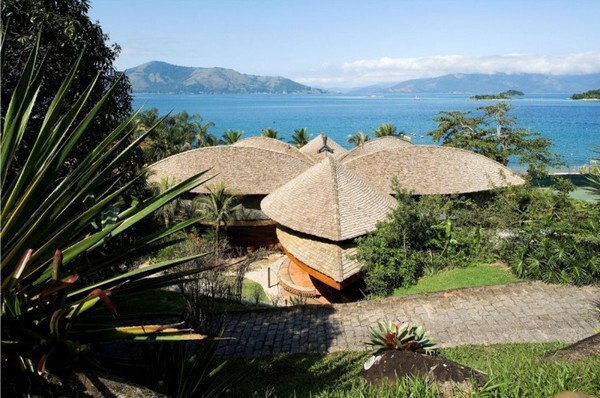 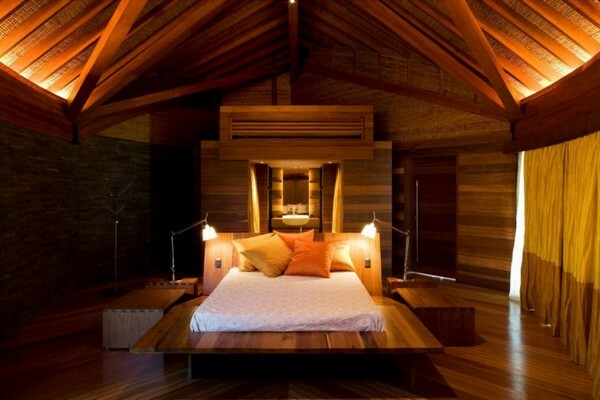 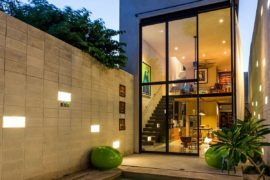 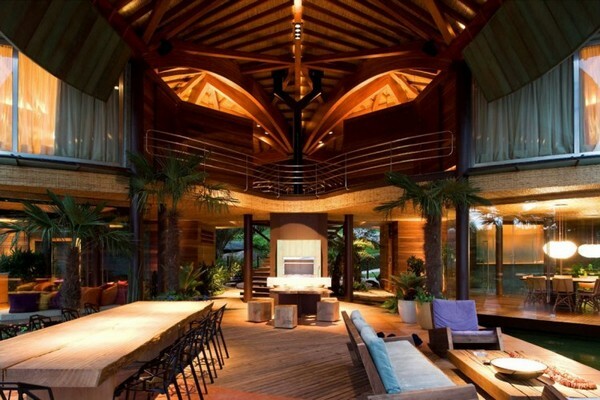 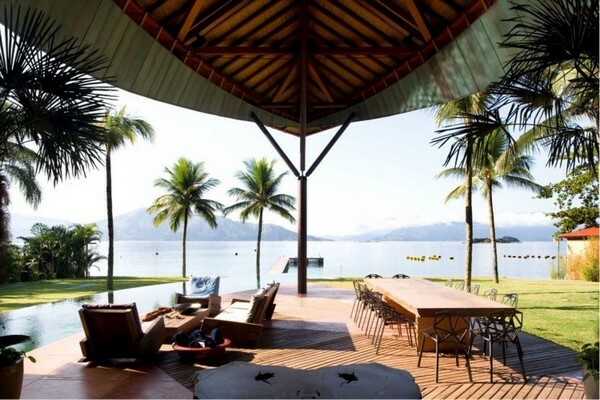 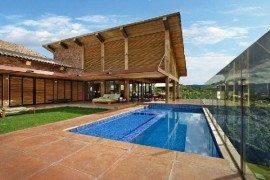 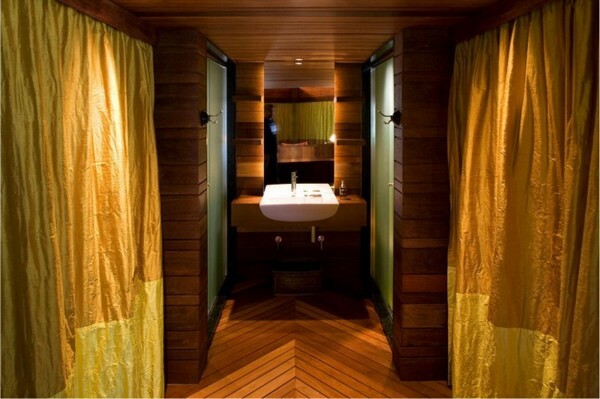 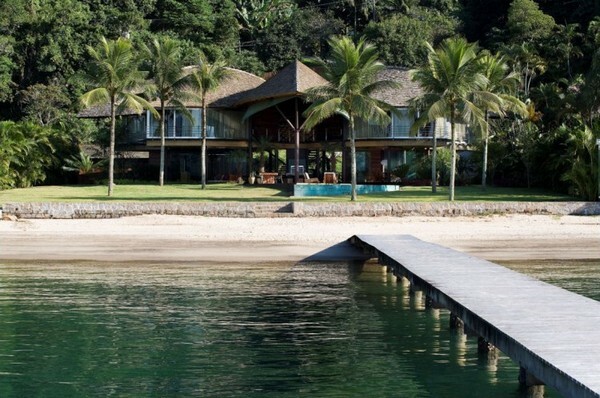 Located in Angra dos Reis, the residence has eco-efficient features that leave a minimum environmental print.